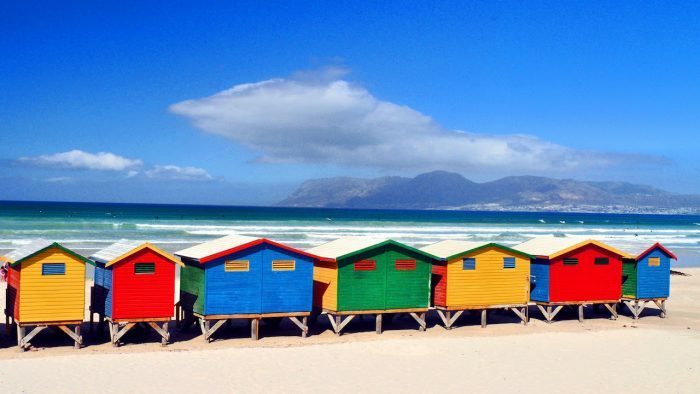 About 30 minutes south of the city center, Muizenberg beach is considered to be the birthplace of surfing in South Africa and is currently home to a surfing community, centered on the popular ‘Surfer’s Corner’ (the starting point for this route). The water is much warmer here than at the beaches on the Atlantic Seaboard, which makes it the preferred place for swimming. 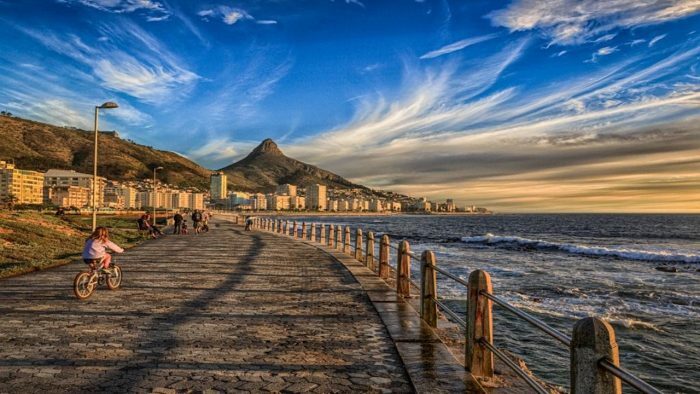 This route follows the Muizenberg — St. James Walk. It takes you along the breaking waves, with fisherman, surfers and, if you are lucky, whales. Along the beach are the quaint and quiet havens of St. James and Kalk Bay. The return route, rather than a there and back, adds some hills and great views. At the end of the walk, turn right to get to Boyes Drive and head back to the start. Don’t forget to reward yourself with a dip in the ocean at the end of your run. If you would like a longer run, you can go under the train subway at St. James and continue the run along Kalk Bay main road. This road will take you 6 miles to Simons Town. The route runs along the coast and provides beautiful vistas. Just be aware, during high tide the waves can crash up onto the path and make it a bit slippery and wet.